The project flew to the Moorestown Library for a recent event. The Friends Enrichment Program Bowerbird project has wings. On a recent Saturday afternoon, it flew to the Moorestown Library for a special event featuring the bowerbirds of Australia and adjacent areas. Presenters were FEP Chairperson Monique Begg, the Friends Enrichment Project of Moorestown Meeting and a handful of FEP volunteers. Attending were 20 children and their parents, all eager to learn about a bird whose creations are so impressive that when early naturalists sighted them, they assumed they were looking at the work of aborigines. As part of the event, participating children made bowerbird art, using the kind of objects bowerbirds use. 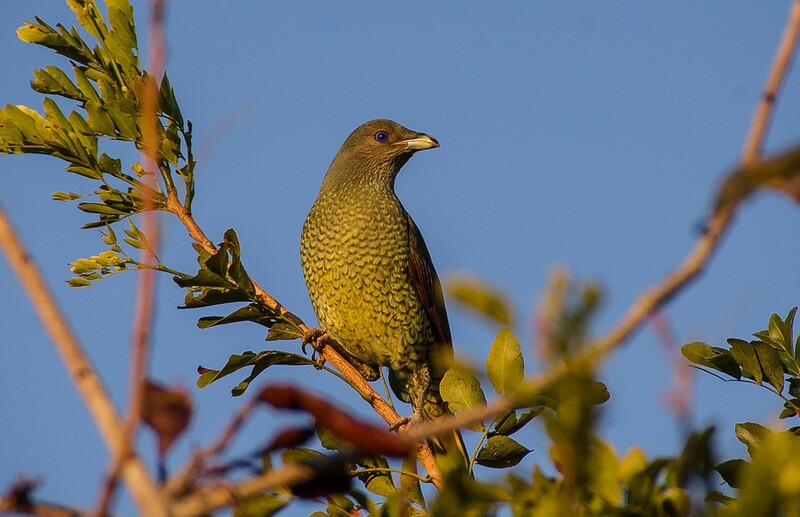 FEP initiated the bowerbird project earlier this year as an enrichment activity, an opportunity for young people to broaden their appreciation of wildlife and their understanding of people’s responsibility as protectors of the environment. It was so well received that it was later offered to the children’s department of the Moorestown Library.